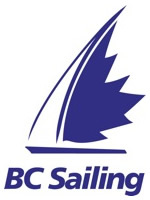 We are a member school of BC Sailing. 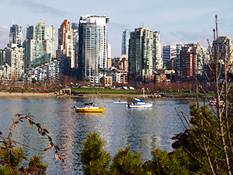 Bewley Sailing in Vancouver, BC, Canada, offers Sail Canada learn to cruise sailing instruction and sailing cruises on the spectacular British Columbia coast. 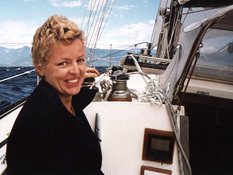 Enjoy basic sailing lessons in Vancouver's beautiful English Bay, earn bareboat chartering credentials while Gulf Islands cruising, or take an advanced sailing course around Vancouver Island. There's a sailing course to suit you. Sailing........"it's the real thing!" 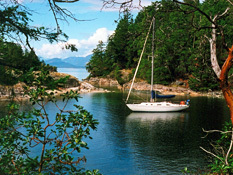 We offer would be sailors an opportunity to experience the wonders of Gulf Islands cruising, or enjoying a sailing adventure in Desolation Sound, or Vancouver Island's west coast. A crewed charter is easy and carefree,allowing you, your family or friends to enjoy your sailing vacation to the max. Embark on a voyage of personal discovery. Whether busy adult, or energetic youth, acquire new recreational and lifestyle skills. Indulge your curiosity, learn something new, and enjoy a challenging nautical adventure. 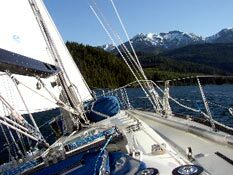 BC sailing is among the best in the world, and offers unlimited scope for sail training and adventure cruising. Bewley Sailing delivers a top notch sailing experience, on a classic yacht, at an attractive price. Whether new to sailing, upgrading your skills, or just cruising around, we take a tailored approach to meeting your sailing goals.